Welcome to the Partners in Flight website, Phase II. 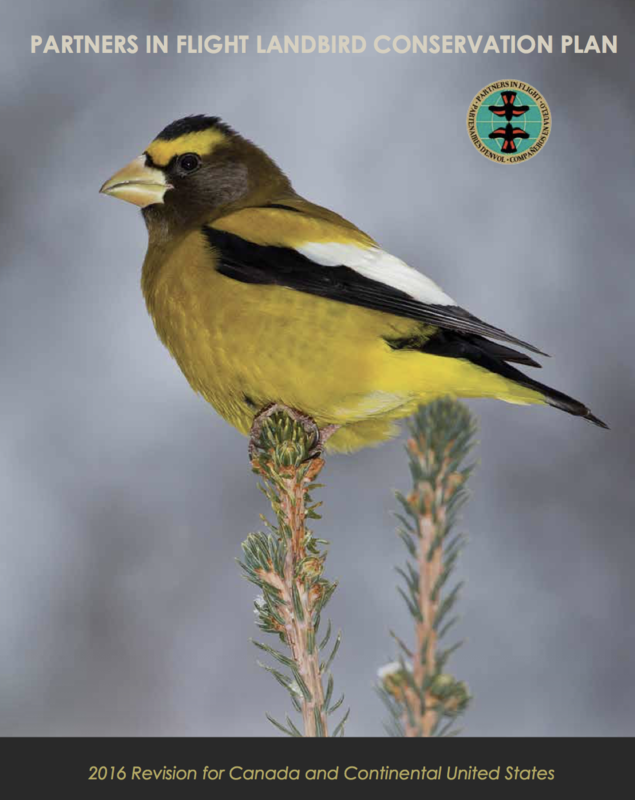 In Phase I (released July 2016), we released the newly revised Landbird Conservation Plan so that we could immediately distribute the plan and the updated PIF Watch List. In Phase II (released April, 2017), we release much of the content that originally existed on the old PIF website, including the bulk of plans and resources that were previously available. We are proud to debut four new and useful features in Phase II. 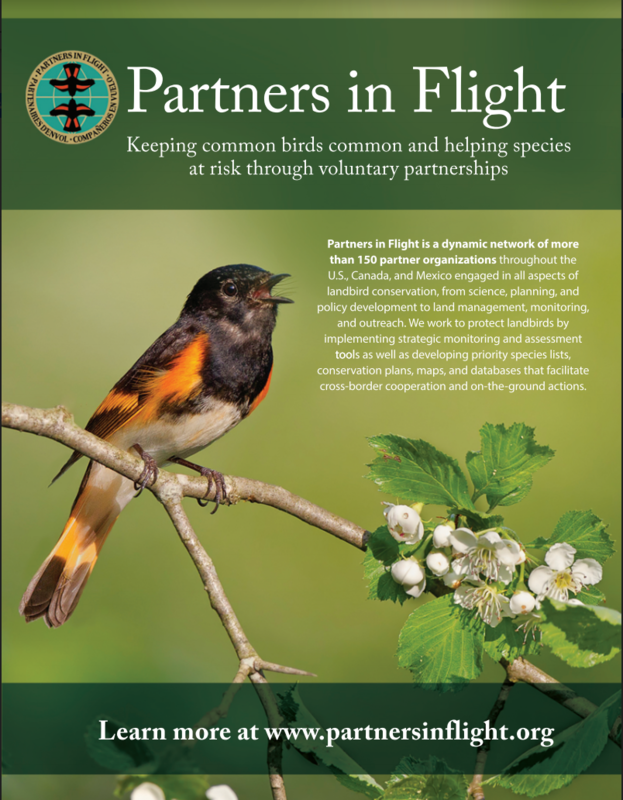 These provide conservation data Watch List bird species to help practitioners understand the status and context of birds on the Watch List. We launched with ten species, but this number will grow as volunteers are recruited and data is synthesized. All of our resources are now in one place. You can filter this directory by resource type (Plan, Management Guide, Maps, Meetings & Events, PIF & Partners, PIF Tech Series, Science, Scientific Literature, Webinar, Workshops, and more) or by name of the resource. PIF has a number of regional or topic-based Working Groups who work closely together to advance PIF’s mission. Now, each of these working groups have a unique page on our site where they can share information, solicit new partnerships, and contribute to conservation discussion. We hope that these pages will help foster greater focus and collaboration among PIF Working Groups. PIF now has a news and events blog where partners can see recent posts from the PIF coordinator, working group chairs, and partners. Anyone is encouraged to submit news items for us to consider. Please sign up for news updates using the form to the upper right of this page. The site is a work in progress and much more will be added over time. If you have feedback or find something missing or awry, please contact the webmaster. Thank you to the PIF partner organizations that made this work possible. Home page: COVER: American Redstart by Melissa Groo; Vermilion Flycatcher by Dave Krueper; Prairie Warbler by Ian Davies. Snowy Owl by Doug Hitchcox (Macaulay Library); Henslow’s Sparrow © Mark Herse.